Requirement to commission S7-315F failsafe PLC to automate cylinder head production. 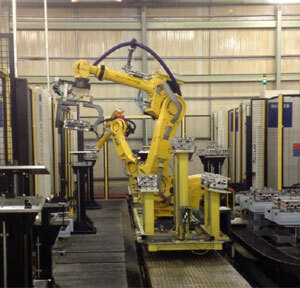 Interface with two Fanuc robots via Profinet with safety implemented via Profisafe. Interface to seven Heller machine tools via Profibus network communications. S7 I/O communications using ET200 Profinet slaves. Safety function provided by Siemens distributed safety utilising ET200 F Slaves.